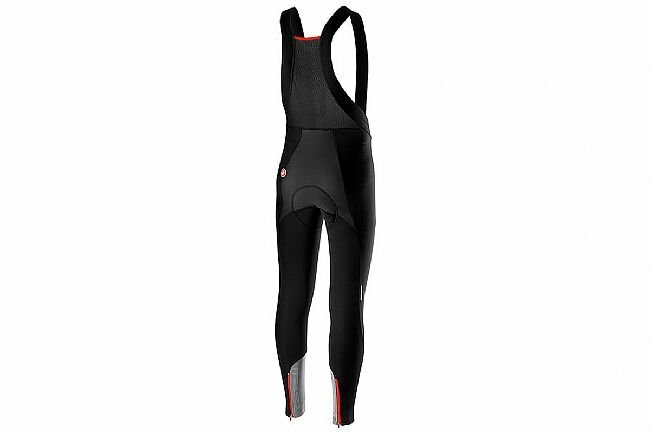 The Castelli Nano Flex Pro 2 Bibtight introduces the next generation in flexibile, breathable, water-resistant fabric. With the Nano Flex Xtra Dry fabric, the Nano Flex Pro 2's base fabric is a tighter knit double-layer construction with an improved water-repellant treatment. With its breathable insulation and protection from wind, rain, and road spray, the Nano Flex Pro 2 is a no-compromise bib tight that excels in cool-to-cold weather riding. Built for serious miles, the Nano Flex Pro 2 gets Castelli's Progetto X2 Air seat pad. The inner leg features a fully reflective waterproof fabric for improved visibility in low-light conditions, as well as targeted splash protection. 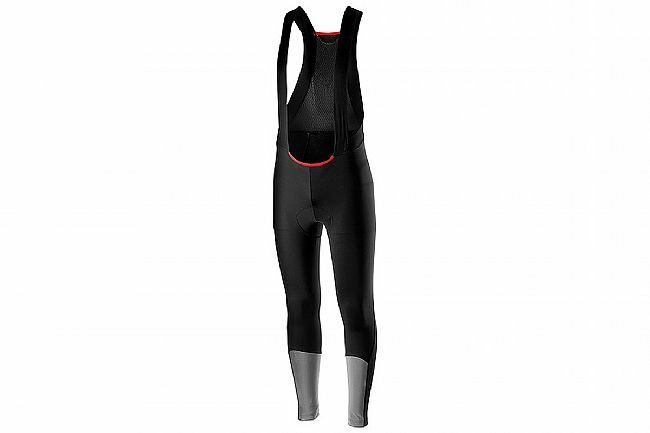 Throughout the bibtights, Castelli used a minimum of seaming, simultaneously keeping the rain out while improving comfort. Nano Flex Xtra Dry fabric brings higher level of water protection and warmth. Double-face knit keeps you warmer because less wind comes in. Reflective waterproof splash guards on inside of lower legs. Double layer over backside protects from wheel spray and road splash. Fewer seams to reduce chafing and water penetration. Progetto X2 Air pad for long hours in the saddle.